Affogato - A remake of this Italian dessert. Dairy & refined sugar-free. 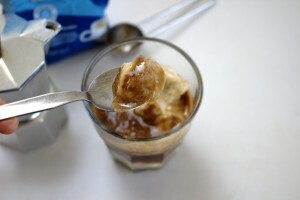 This Italian dessert, affogato (drowned in Italian) was a favourite of mine when I studied in Italy. It combined two of my favourite things: ice-cream and coffee. What’s not to love? 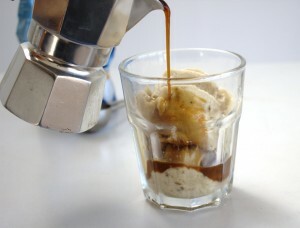 After two years of strict SCD, I certainly thought my days of enjoying affogato were over! 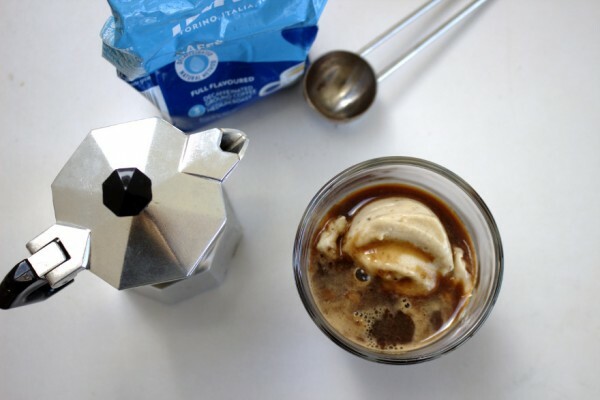 Affogato is a delicious dish to enjoy at any time of year. Our recent Italian family holiday inspired me to create an SCD version of this classic. I love the challenge of making decadent dishes gluten, grain, dairy and refined sugar-free! This recipe uses frozen banana slices to make the ice-cream. To see how I freeze bananas see my banana and almond butter ice-cream recipe. I omit the almond butter for this recipe but you can add it in if you like. I’ve already talked in other posts about my love of coffee. After my Crohn’s diagnosis, I avoided coffee for years. 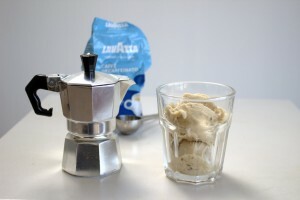 Recently, I discovered that Lavazza make a natural decaf coffee. Typically, decaf coffees and teas are not allowable on SCD. This is because sometimes harmful chemicals are used. If you do choose to drink decaf, be sure to check that the decaffeination method used is a natural one. This Affogato needs to be enjoyed immediately so don’t make it until you’re ready to sit down and savour it! A delicious dairy and refined sugar-free remake of this classic Italian dessert. Homemade ice-cream "drowned" in espresso and ready in minutes! Put the frozen banana slices in a powerful blender and blend until smooth. You may need to stop the machine a few times to scrape down the sides. 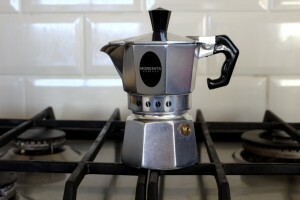 Make an italian espresso* in the traditional way on the stovetop. 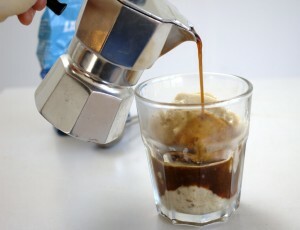 Scoop the ice-cream into a glass and pour the espresso over it. Enjoy immediately. *Only use naturally decaffeinated coffee. Verify that it has been decaffeinated either by the Swiss water or the C02 method. Otherwise, harmful chemicals may have been used. *Traditionally, this is made with espresso. You can use filtered coffee as well but don't use instant coffee as it is not SCD-legal.